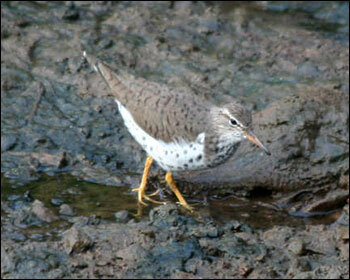 An adult Spotted Sandpiper in summer plumage photographed at Lugar de Baixo on 29-30th April 2007. 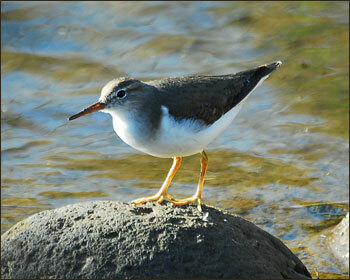 One of the birds seen since last fall? Photo: David Uit de Weerd, Netherlands. 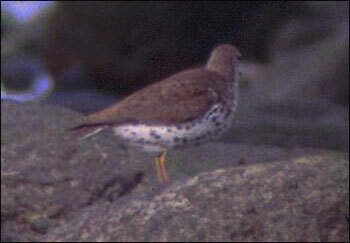 Most probably the very same individual, which has been present at Lugar de Baixo since October 2006. 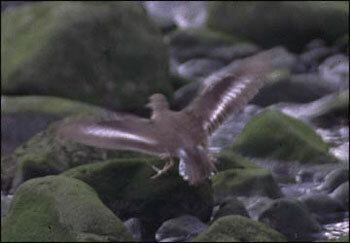 This photo is dated 21st February 2007. Photo: Romano da Costa, UK. 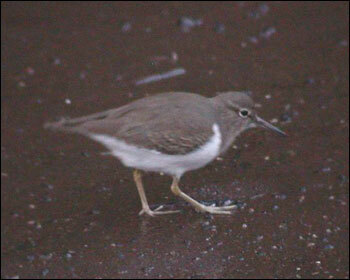 A 1st cal year seen for an hour along with a Common Sandpiper at Lugar de Baixo on 4th October 2006. 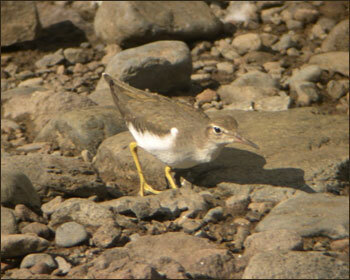 Most probably not the same bird seen at the pond on 24th September. 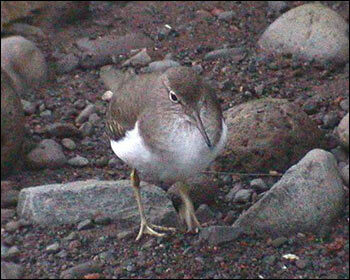 8th record for Madeira. Photos: Stefan Masur, Germany. First winter in Funchal Harbour on 29-31st December 2005. 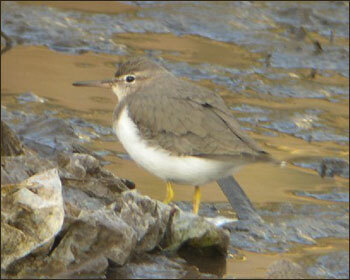 6th record for Madeira. Photos: Seppo Niiranen, Finland. 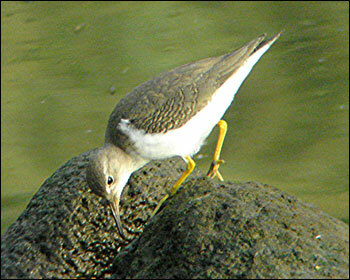 Spotted Sandpiper at Machico on 4 September 2002. 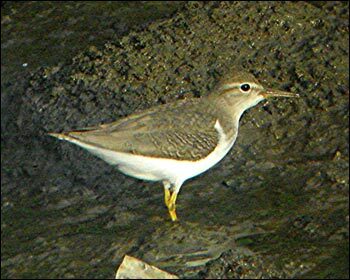 British and French birders had independently found the bird at Machico on 27 August and it remained until 6th September.This was the third record for Madeira. Photos: Erik Sanders, Netherlands.